Tara Statue – Timely To Order! All these mothers of old protected you, bore so many hardships for you, and created so much negative karma for you. It is truly unbelievable. Can you even begin to imagine their kindness? In fact, almost every single action of theirs was negative karma because it was done out of attachment. For this reason I advise people that the way to take care of a child is to think of him or her simply as a sentient being, rather than as “my child.” At the beginning of a sadhana, a meditation, or a practice, when you generate bodhichitta toward all sentient beings, you should think that your child is one of those sentient beings. Likewise, when you dedicate your merits to achieve enlightenment for sentient beings, you should think that your child is one of those sentient beings. On the other hand, how can you expect your children to have a happy life without their creating good karma from their own side? It is impossible. 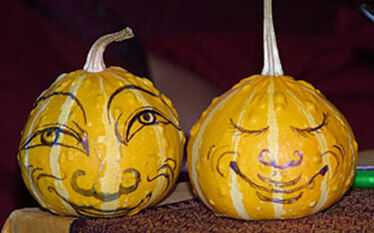 Without merit, without good karma, how can they achieve happiness and success in their life? It is impossible. Excerpted from a compilation of teachings titled Planned Parenting: How to Make Having Children Meaningful from the Lama Yeshe Wisdom Archive. Originally transcribed, compiled, and edited by Joan Nicell and Jon Landaw from Rinpoche’s teachings on May 15th and 23rd, 2009, at the 100 Million Mani Retreat at Institut Vajra Yogini, Lavaur, France. 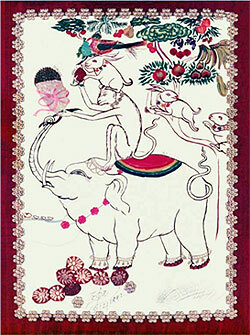 In the Vinayavastu (Foundation of Discipline), the Buddha tells the story of the Four Harmonious Friends – a pheasant, a rabbit, a monkey and an elephant – who lived together in harmony. Each of the younger animals showed respect for the older animals’ life-experience and knowledge by carrying the older on his back. Later, the eldest (the pheasant) taught the practice of ethical conduct to the others, who then taught the same practice to the rest of the forest creatures. Because of this, happiness and comfort increased greatly in the world. With this story in mind, FPMT International Office has unveiled its Friends of FPMT program, a rework of the former FPMT Membership initiative. Friends of FPMT is a program composed of students and donors working together to support the global efforts of the Foundation for the Preservation of the Mahayana Tradition (FPMT). The program has been restructured to truly support the Buddhist education of the FPMT community while they work with other Friends toward a larger goal: making this world a better place. The new Friends of FPMT program has four levels to choose from (including one free option), each represented by one of the Four Harmonious Friends. Discovering Buddhism Online: Five modules are now online with three more going live in November. Don’t forget Module How to Meditate, is free. Check it out! Light of the Path: During a very productive work retreat with six core FPMT teachers, the first six modules of the Light of the Path online program were created, using the audio and video recordings from the LOP retreat with Rinpoche. The program will go live in December. Following the launch, the modules will be supplemented with teachings from Lama Yeshe on the first six topics. NEW! Rituals and Realization, A Users Guide to Tibetan Buddhist Practices: This book begins with the inspiring and clear teachings given by Khenrinpoche Lama Lhundrup on why we need ritual in our lives, followed with an introduction by Ven. Sarah Thresher on the elements of ritual practice and Lama Zopa Rinpoche’s particular style of doing the rituals. Each practice in the book (all found in Essential Buddhist Prayers Vol. 2) begins with a teaching from Lama Zopa Rinpoche on the benefits of the practice, followed by a teaching section on how to lead the practice from Ven. Sarah, and finally the practice itself. There are several appendices, including a teaching on the vajra and bell, visualizations and motivations given by Lama Zopa Rinpoche, a list of helpful resources, and the contributors’ biographies. Indispensable for anyone wishing to practice these pujas according to the method of Lama Zopa Rinpoche. The purpose for this organization to exist is that. The result, the effect for sentient beings, the benefit of this organization is like limitless sky, because it is Dharma, and complete Dharma.” (Day 1, April 26, 2009). One of the innumerable ways in which Rinpoche is personally taking responsibility for that is to sponsor the rare collection of initiations which His Holiness Sakya Trizin is giving annually at his seat in Dehradun, at Rinpoche’s request. And we can make a personal contribution to the task by making a simple donation (see Ven. Roger’s account of the event in “Preserving the Mahayana,” below). At the CPMT, in his update on the organization, Ven. 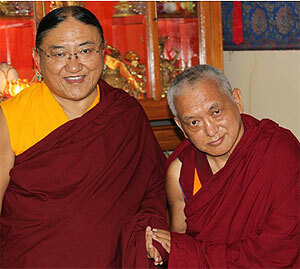 Roger had spoken about Rinpoche’s strong interest in giving consecutive teachings, and said that the FPMT community is committed to supporting Rinpoche and to providing all the conditions for Rinpoche’s wish to be fulfilled. We have seen how Kadampa Center, together with students and teachers from around the FPMT world, made the first year of the Light of the Path teachings a resounding success. At the start of 2010, we will see Rinpoche giving the second year of his commentaries on the Ganden Lha Gyalma and Lama Chöpa at Amitabha Budddhist Centre in Singapore Potowa Center in Jakarta, Indonesia. Drawing from the experience gained at the Mani Retreat (which followed the CPMT in Lavaur, France), and the Light of the Path in North Carolina, International Office will try to work with the same audio-visual team and the local centers to produce the highest possible standard of recording for Rinpoche’s precious teachings. We will be taking Rinpoche’s advice to preserve and spread the Dharma by ensuring that Rinpoche’s own teachings will be available to all the students who cannot be present personally, and all the future students to come. But by attending the teachings, you will have the unique benefit of receiving the lineage directly – so do give it some thought! Currently, Lama Zopa Rinpoche and around 1000 Sangha are in Dehradun in the Himalayas receiving a rare collection of initiations from His Holiness Sakya Trizin. Known as the Wangya Norbu Tangwa (Garlands of Jewels of Hundreds of Initiations), they are given at Rinpoche’s earnest request, and may take 5 years to complete. They started in 2008, and this year’s section lasted 5 weeks. Preserving the Wangya Norbu Tangwa has become a matter of urgency as the lineage of some of the initiations had already died out in the Gelug tradition. Initially, Rinpoche with other Gelug Lamas, including Kirti Tsenshab Rinpoche, received the first half of these initiations from His Eminence Chobgye Trichen Rinpoche in 1991, but age and poor health stopped him from giving the transmissions in their entirety. 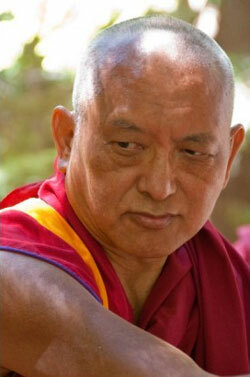 While being the main sponsor of the current event in Dehradun, Lama Zopa Rinpoche covers all its associated expenses. On top of that, Rinpoche is offering breakfast, lunch and dinner to all the Sangha for the duration of the initiations. The costs to host the initiations last year came to US$43,000. This year we estimate the cost at US$38,000. The Tara statue that arrived at Osel Ling Retreat Center in Spain this year is a truly magnificent sight. 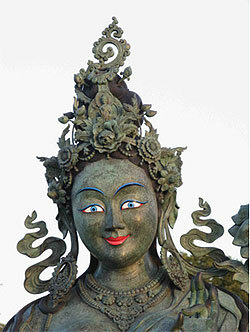 It was sculpted by Bertrand Cayla with advice from Rinpoche and finally produced at a Spanish foundry. Rinpoche is very impressed with the artwork – and the rare opportunity to be able order this statue does exist! It can be produced in either bronze or resin. The foundry is the Fundición Artística Vilá, S.A. located at Valls, Spain. You may contact Maite Bonet. But as Betrand warns us, the molds do degenerate over time. It would be advisable to place the order for the statue soon. You can ‘circumambulate’ the Tara statue or at least, get a 360 degree view of it on YouTube. Find out more about the 16 Guidelines and FDCW’s phenomenal strides in creating training to help people everywhere develop their innate wisdom and compassion. Commemorating World Animal Day was strongly encouraged by the team at Enlightenment For the Dear Animals, a web portal initiative inspired by Rinpoche’s advice. 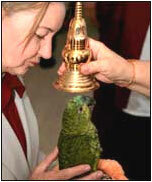 animals were touched on their heads by a holy object and led to circumambulate a stupa. The event even drew the attention of the BBC. Tushita Meditation Centre, Dharamsala, India is looking for volunteers for several positions, including help to do multi-media recording at the Hayagriva Retreat to be led by Rinpoche in March 2010.